Nicole Pruner, an American stationed in the Google Dublin office, showed off her special Thanksgiving day cupcakes her Google family gave her to cheer her up on the holiday. 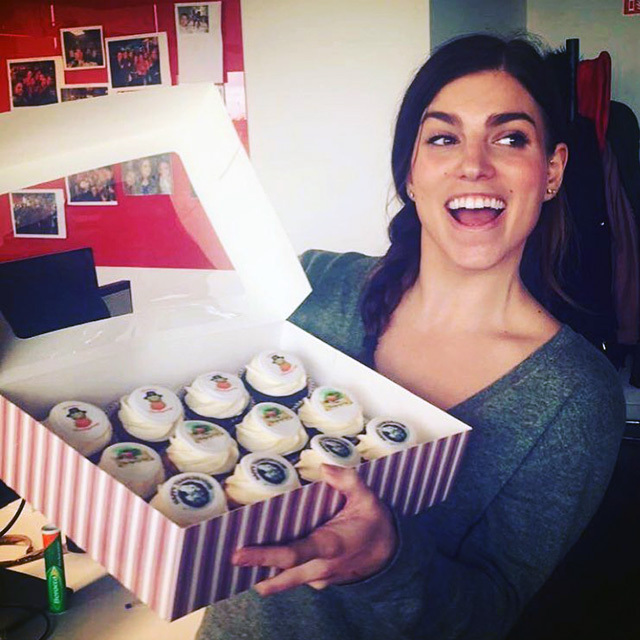 She wrote "thankful for m for my Dublin Google fam and these festive cupcakes." She posted this on Instagram. I believe Nicole is a recruiter for Google.